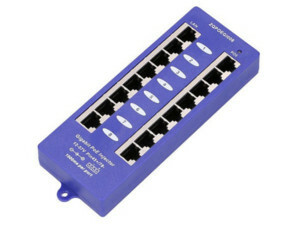 Use this 8 Port Passive Gigabit PoE injector to power up to 8 Passive Gigabit PoE devices through a single power source. Ideal for powering AP's, IP cameras or VoIP phones. The power adapter and power cable are included.